Canadian-born Soprano Jana Holesworth holds both a BA and a BMus from the University of Lethbridge. Following the completion of her undergraduate degrees, Jana undertook and subsequently completed an MMus from the Royal Welsh College of Music and Drama under the tutelage of Gail Pearson. 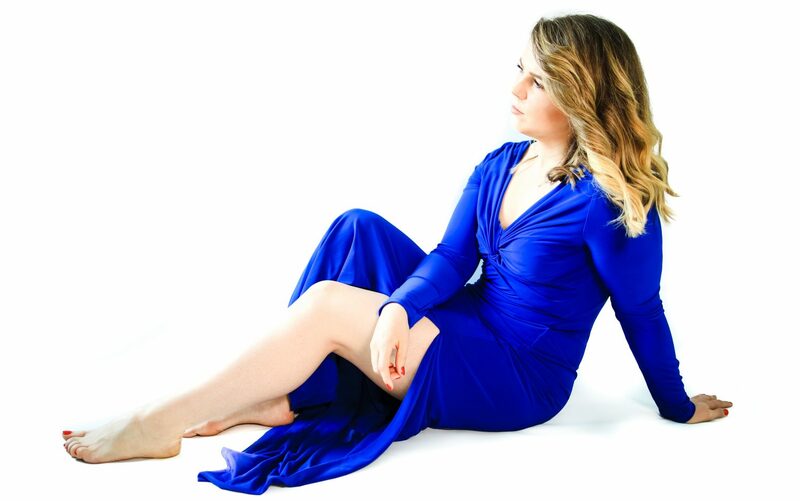 Jana currently resides in Cardiff, where she continues to study privately with renowned soprano, Nuccia Focile. Jana’s past roles include Sister Mathilde in Poulenc’s Dialogues of the Carmelites (University of Lethbridge Opera Workshop, 2010), Laetitia in Menotti’s The Old Maid and the Thief (University of Lethbridge Opera Workshop, 2011), Second Lady in Mozart’s The Magic Flute (Lethbridge Symphony Orchestra, 2012; Opera on the Avalon, 2013) Rosalinde in Strauss’ Die Fledermaus (Lethbridge Symphony Orchestra, 2013; Opera’r Ddraig, 2017), Oberto in Handel’s Alcina (Accademia Europea Dell’Opera, 2013), Micaëla (cover) in Bizet’s Carmen (Opera’r Ddraig, 2014), Gertrude in Humperdinck’s Hansel and Gretel (Opera’r Ddraig, 2014), The Fairy in Massenet’s Cinderella (Bute Park Opera, 2015), Pepik in Janáček’s The Cunning Little Vixen (Royal Welsh College of Music and Drama, 2015), Mrs. Gobineau in Gian Carlo Menotti’s The Medium (Magnetic Opera, 2017), Nedda in Leoncavallo’s I Pagliacci (Love to Sing Opera, 2017), Fiordiligi in Mozart’s Cosi Fan Tutte (Simply Opera, 2017), Tatyana in Tchaikovsky’s Eugene Onegin (Serenata Singers, 2018) as well as La Zia/Chorus in Puccini’s Madama Butterfly and Queen of Eldorado/Ensemble in Bernstein’s Candide (West Green House Opera, 2018). In 2018 Jana also toured with Mid Wales Opera as part of their Eugene Onegin ensemble. Upcoming engagements include Violetta in Verdi’s La Traviata (New Sussex Opera) Chorus in Strauss’ Die Fledermaus (West Green House Opera) and Berta in Rossini’s The Barber of Seville (Opera Project). Jana is also thrilled to have been selected as one of Iford Arts’ 2019 New Generation Young Artists. In addition to performing, Jana is Co-Artistic Director of local Cardiff-based opera company Opera’r Ddraig.